A medium toffee note hits the nose first. This is joined by an equal level grapefruit and citrus note. There’s a low floral character present as well. Slight sweetness is present. Very low alcohol aroma and no fermentation character. Pours an amber colored liquid. An assortment of bubble sizes compose a generous, ivory head. Retention is excellent, hanging around for ages. Clarity is excellent, almost lager-like clarity. A cereal grainy and caramel flavor appear first at a medium intensity. A moderate grapefruit and floral character follows. Towards the midtaste, a touch of pine comes out, along with some additional orange citrus character. Moderate-high bitterness. There’s a slight perceived sweetness, but the beer is dry. The finish cleans the mouth quickly, leaving a slight bitterness with piney grapefruit. Clean fermentation character with no off flavors. Medium bodied. A moderate carbonation hits the top of the mouth. Slight alcohol warmth to the back of the throat. Noticeable, but low hop oiliness. There’s no astringency. A great rendition of a west coast IPA. This beer is very well balanced, especially in the flavor. Minor recipe tweaks would bump this up to outstanding. The dry hop rate could be increased to provide a bit more hop intensity in the aroma. While the crystal malt works well with the selected hops, the usage rate could be decreased a bit to allow the hop flavors to be a little stronger than the malts. 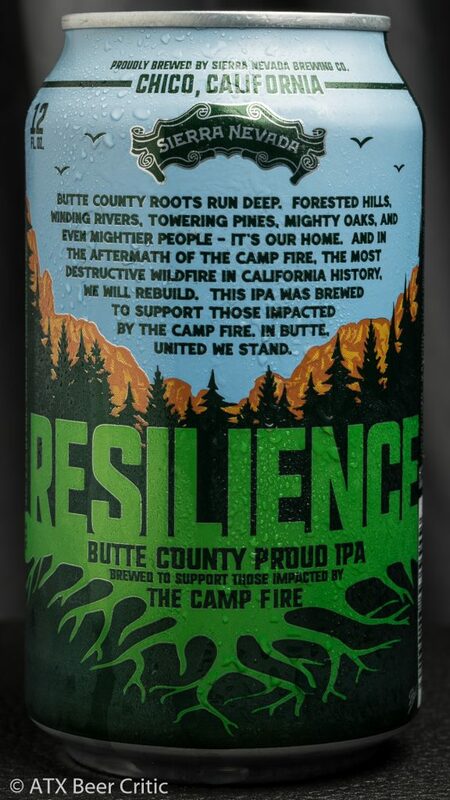 Resilience is one of the coolest beer stories to happen in 2018. 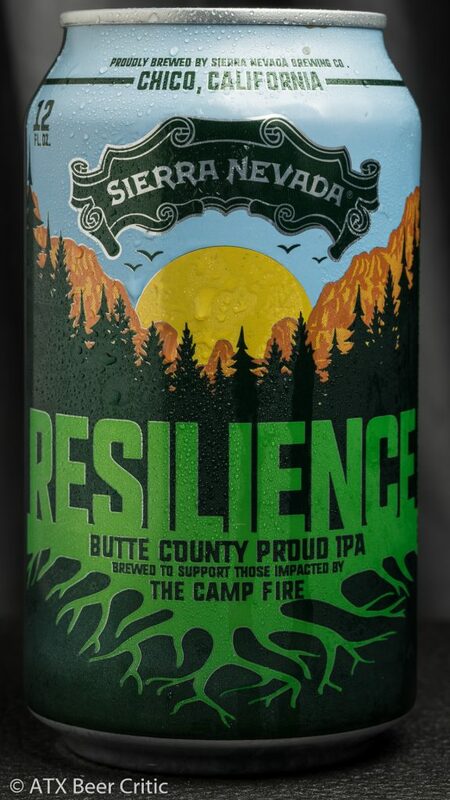 It was amazing to watch the brewing community band behind Sierra Nevada, and help fundraise for those impacted by The Camp Fire. I’m hoping to be able to try more of the batches brewed around town, as I’ve only had the Last Stand version as of writing this. The beer itself is almost a bigger, more floral version of their pale ale. 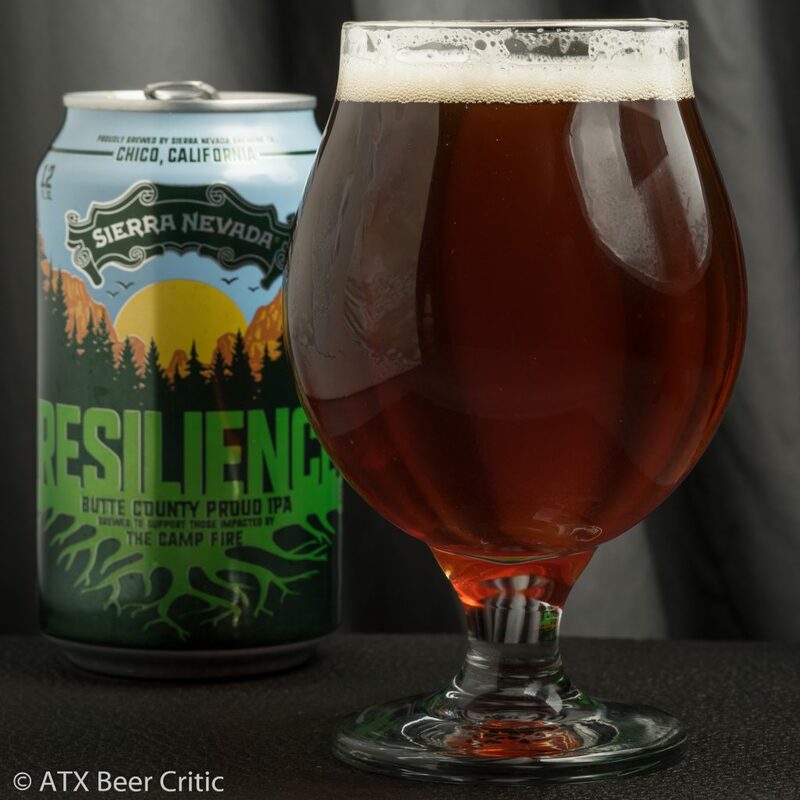 It’s a bit of a throwback compared to where IPAs have trended. To be honest, it’s refreshing to revisit old flavor combinations. I really enjoyed drinking this, but if you’re accustomed to the no-crystal-malt only-tropical-hop IPA recipes, you’ll probably toss around the “Malt Bomb” lazy beer slur. It’s not though. The hop character is still greater than the malt expression, with a decent bitterness. To me, it drinks as more of an extra pale ale due to it’s balance.